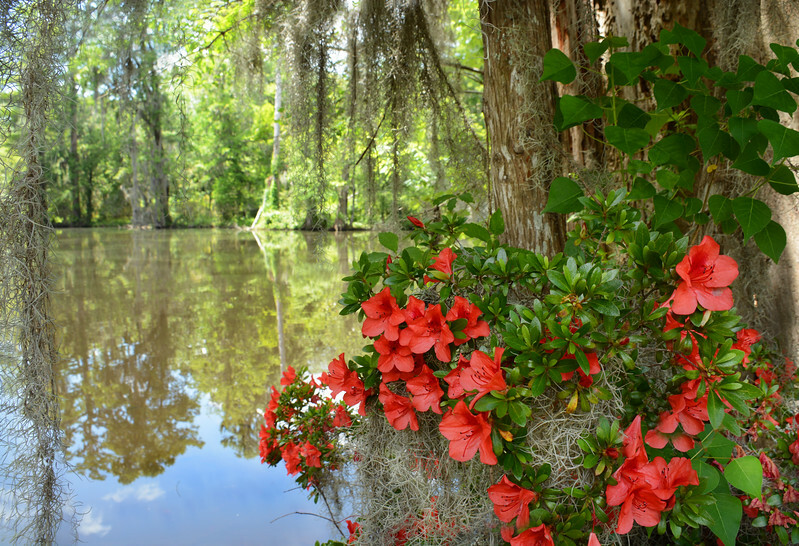 Beautiful flowers in the forest. 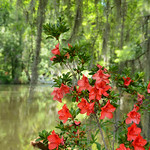 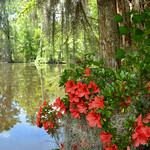 Azaleas flowers blooming by the lake, trees reflected in water. 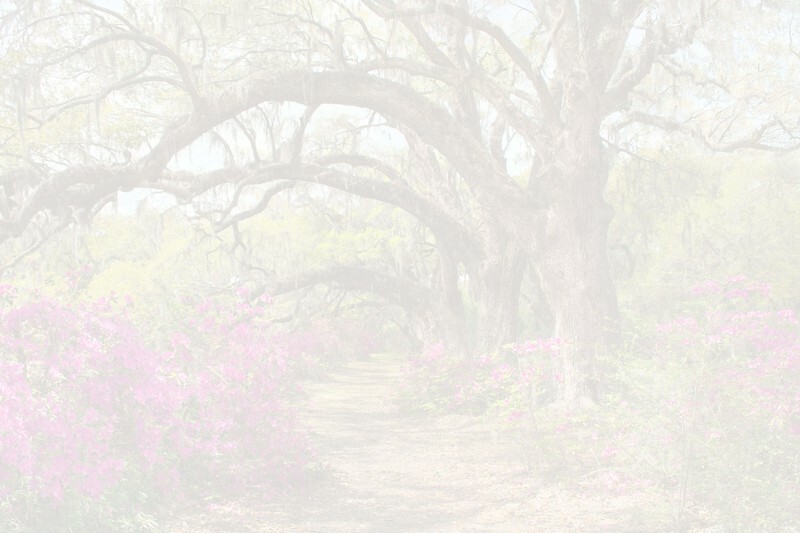 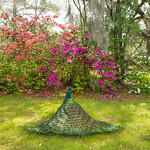 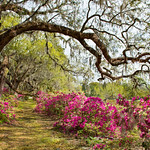 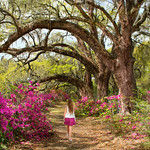 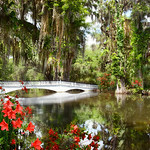 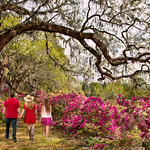 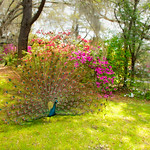 Magnolia Plantation and Gardens,Charleston ,South Carolina ,USA.